German movie tells the true story of a plot that almost killed Hitler – J. What if Hitler had been assassinated shortly after his armies invaded Poland to start World War II? How would global — and Jewish — history have played out? The question is not answered directly in the German film “13 Minutes.” But the movie, based on an actual, lone-wolf plot to kill Hitler that nearly succeeded, is both a classical thriller, pitting one man against the system, and an exploration of how minute circumstance can affect the fates of millions. “13 Minutes” is directed by Oliver Hirschbiegel, who is perhaps best known for his 2007 remake of “Invasion of the Body Snatchers” with Nicole Kidman and Daniel Craig, as well as “The Downfall,” which re-created Hitler’s last days in a Berlin bunker. The films opens July 7 in the Bay Area. At the heart of the film’s plot is Georg Elsner (played by Christian Friedel), a 35-year-old carpenter and tinkerer in a small Swabian village who played in the town band and was popular with the local girls. He’s a communist sympathizer — but not a party member — who observes with growing concern how his village gradually transformed during the early years of Nazi rule. Elser sees an acquaintance who is forced to sit on the street — surrounded by Brownshirts and townspeople — with a sign around her neck reading, “In the village I am the greatest swine and consort only with Jews.” He attends the screening of a propaganda film in which Hitler proclaims that, under his rule, every German will have a radio, then a luxury, and the rutted village roads will be paved and lighted. 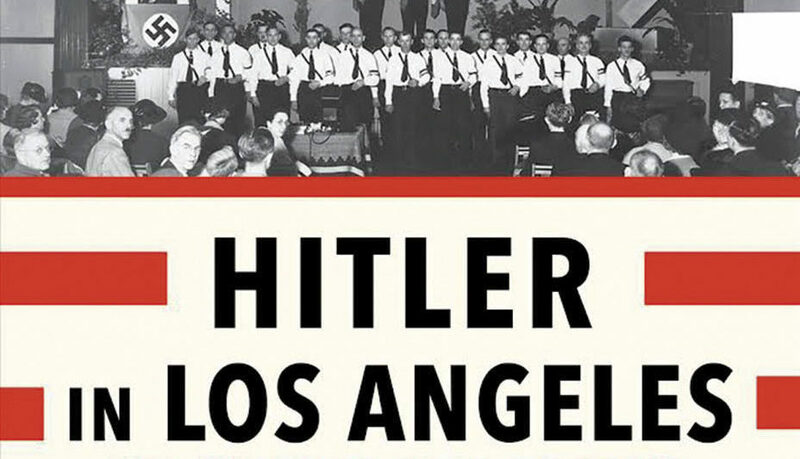 At a time when “expert” statesmen and pundits maintained that Hitler represented a temporary aberration or could be appeased, Elser becomes convinced that the Führer will plunge Germany into war — and that if nobody else will stop the Nazi dictator, he must do the job himself. Elser knew that Hitler addressed his followers at Munich’s largest beer hall every Nov. 8, the date of his foiled 1923 putsch to seize power in the Bavarian city as a base to overthrow the Weimar Republic. So, starting in late 1938, he repeatedly visited the beer hall, taking careful measurements of the columns flanking the speaker’s podium. Elser took a job in an armaments factory and smuggled out explosives, dynamite sticks and detonators. As Nov. 8 drew closer, Elser labored night after night on his knees, holding a flashlight in his mouth, to insert the homemade bomb into a column. He connected the bomb to two clocks timed to trigger during Hitler’s typically lengthy tirade. On the evening of the putsch anniversary, Elser took a train to the Swiss border to await news of Hitler’s death. Instead, however, he learned that the Führer had unexpectedly cut short his speech. Exactly 13 minutes after Hitler left the podium, the bomb exploded at the precise spot where Hitler had been standing. The blast killed seven Nazi officials and, to Elser’s lifelong regret, an innocent waitress. As Elser tried to cross the border into Switzerland, something about his behavior aroused the suspicion of a German border guard, who arrested Elser and sent him, under guard, to a Gestapo prison in Berlin. Hitler was convinced that Elser was but a tool in a vast conspiracy orchestrated by British Prime Minister Winston Churchill and demanded that Elser be tortured until he revealed the masterminds behind the assassination attempt. But even under the most brutal torture, Elser refused to give even his name and birthdate. Only after the Gestapo drags in his longtime lover, who is pregnant with his child, does he acknowledge the plot, with himself as the sole author. Nobody believed Elser’s story, but instead of being executed on the spot, he was shipped to various concentration camps, ending up in Dachau. In April 1945, however, as Hitler’s dream of a 1,000-year Reich came crashing down, the Führer remembered Elser — and ordered that he be executed with a pistol shot through the neck. Two weeks after Elser was killed, U.S. troops liberated Dachau. 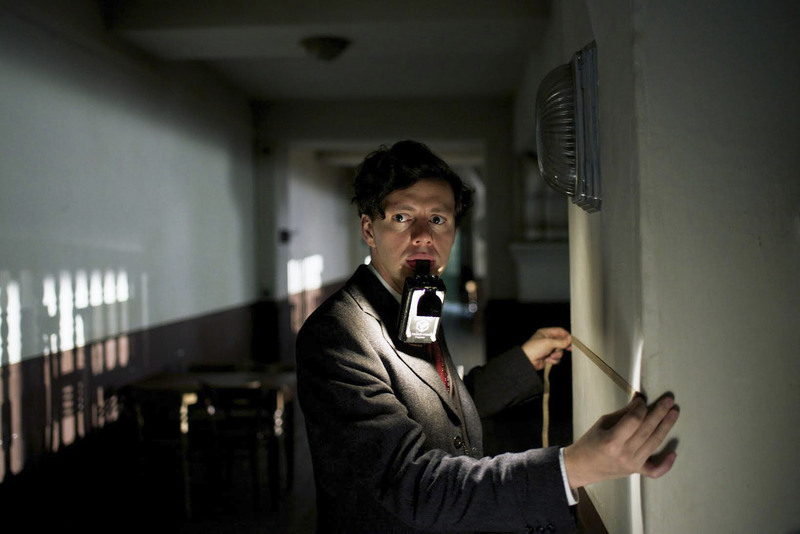 “13 Minutes,” released in Germany in 2015 with the title “Elser — He Would Have Changed the World,” was well received by German critics and the public, though it scores low on Metacritic.com. The influential magazine Der Spiegel noted that because of the film, Elser became recognized as “a true German hero” after having been largely ignored by historians.